The Heritage Apex Double Bin Store from Rowlinson is an attractive, modern screen and storage unit to hide those unsightly plastic wheelie bins. 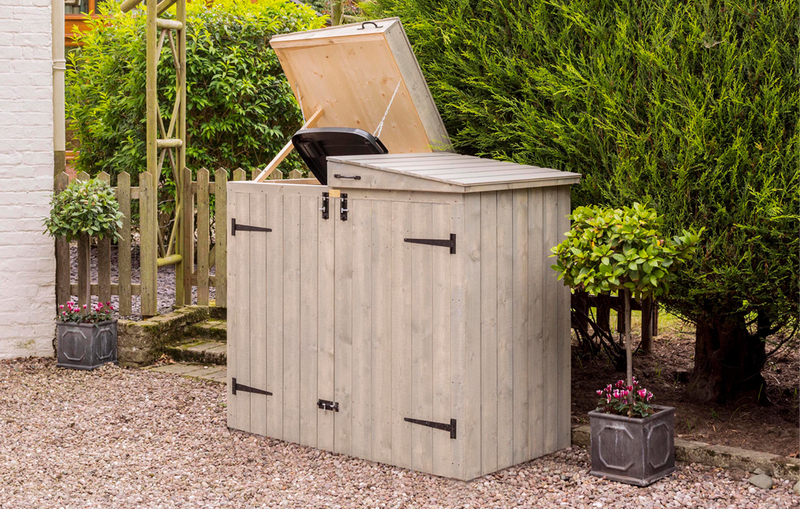 Made using fine sawn tongue & groove timber, this superb bin store will accommodate two wheelie bins and gives easy access when required through the front or top openings. The grey wash painted finish and cladded design only adds to the aesthetics. This great looking double bin garden store with it's apex roof will blend into any surroundings and is great value for money. Click the button below to add the Heritage Apex Double Bin Store to your wish list.